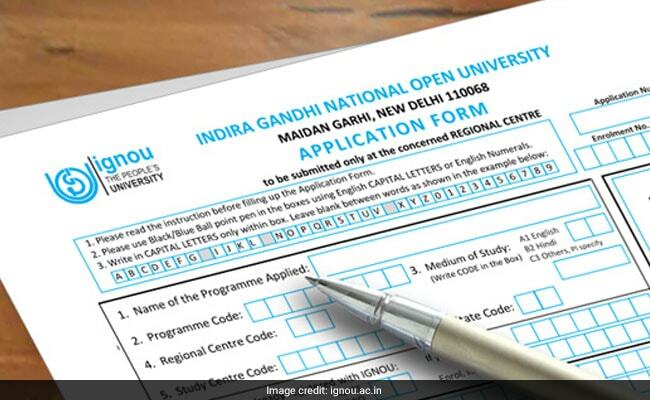 The Indira Gandhi National Open University (IGNOU) has extended the last date of submission of online and offline fresh admission of all Masters, Bachelor and Diploma programmes upto January 31, 2019 for the January-2019 session. The admission form can be submitted online on the official website of the varsity. The IGNOU said in statement that fresh admission seekers can create user ID and fill in the online form for instant issue of confirmation of form submission and online payment through net banking/debit card/credit card. The interested learners can also take admission in the newly launched programmes by School of Health Sciences viz., Certificate in General Duty Assistance, Certificate in Geriatric Care Assistance, Certificate in Phlebotomy Assistance, and Certificate in Home Health Assistance.